2. Go to the Create Blank tab. 3. Here you need to specify the number of pages you are planning to have, the spread type and the page orientation of your issue. Note: Keep in mind that you may add/remove pages anytime later. 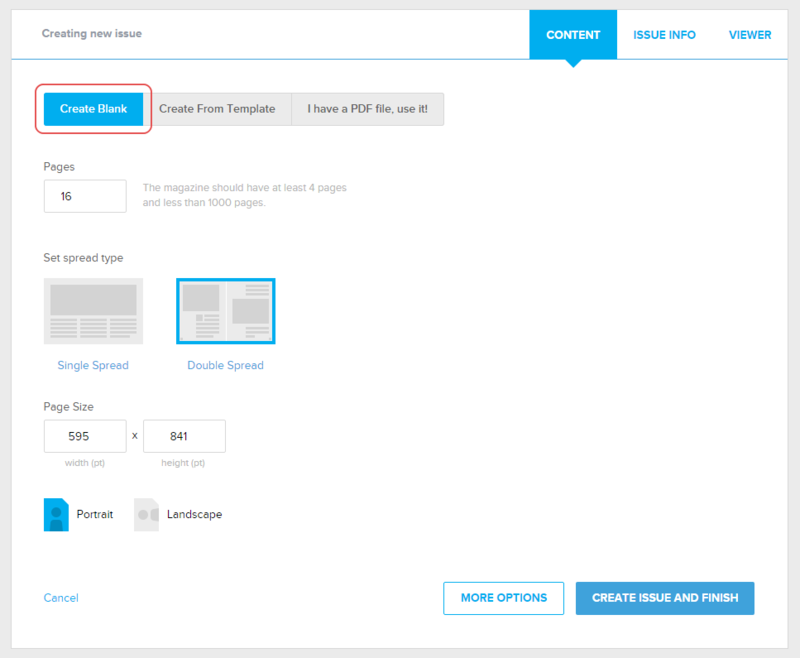 Learn more about adding pages. Get more info about removing pages. 4. Click on the CREATE ISSUE AND FINISH button to save the changes, or MORE OPTIONS to proceed to the advanced settings.